My Random Five today is REALLY random…. 1.) You have, no doubt, heard about the shooting Wednesday in a rural town in Virginia, in which two tv station employees were killed. When I first heard the name of the town, (about 3 1/2 hours from us) I didn’t recall ever having been in that area. BUT, as the story unfolded, I realized that Motor Man and I had actually been in that same shopping complex a little over two years ago. We stopped there for lunch on our way to visit a family who raises Gypsy horses. You may recall this post that I wrote about our day. 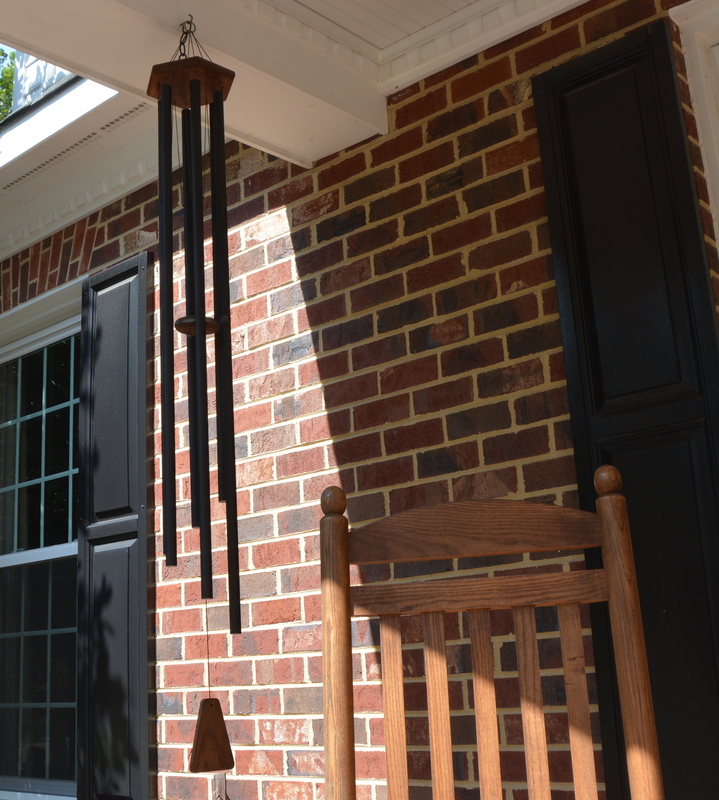 We also bought this wind chime at one of the shops, probably just feet from where the shooting took place. Is it silly to say that I will, mostly likely, now think of those two young people whenever I hear the chimes? 2.) Today, I’m participating in The Rainbow Bridge Remembrance Day on Facebook in memory of my dear Beezy. 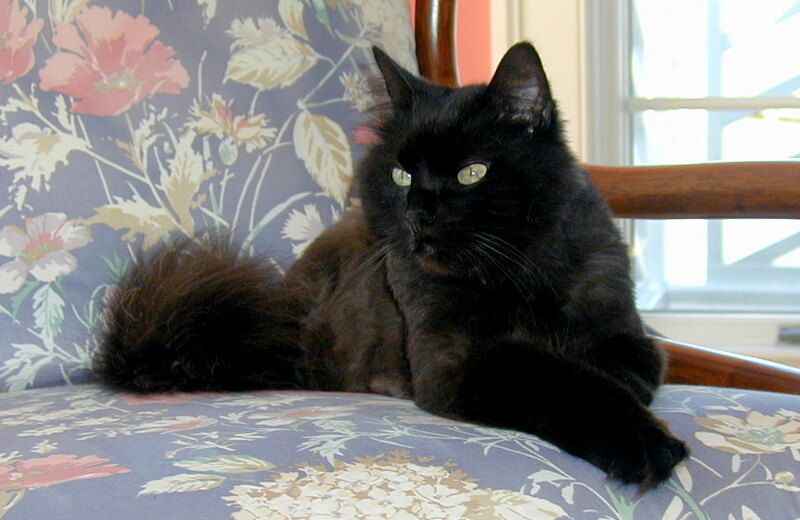 She was my kitty soul-mate from 1995, when I adopted her, until we had to say goodbye in 2009. What a special kitty she was. 3.) 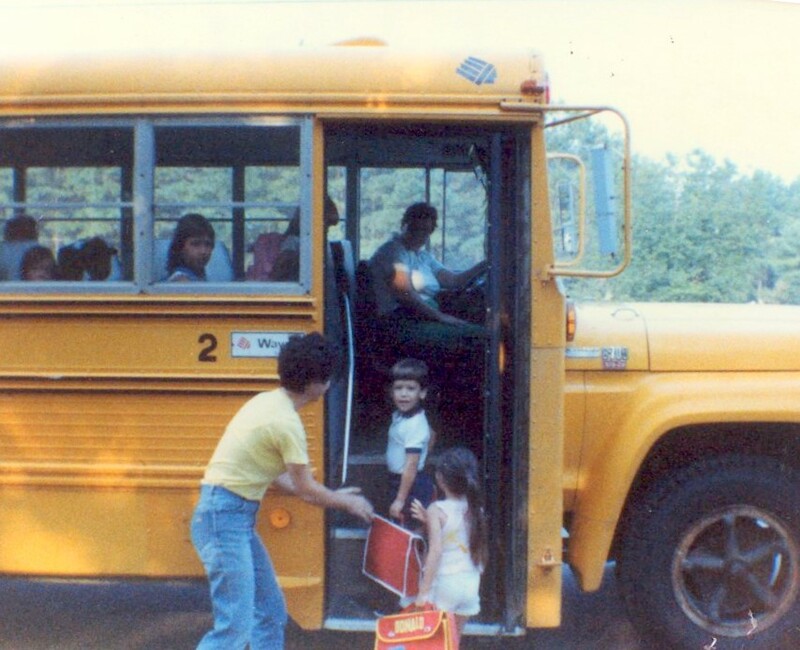 I’m feeling a little nostalgic as another school year starts, reminded of putting Marshall on the bus for the first time as a kindergartener. Yes, that’s me: just a “few” years younger, pounds lighter… and hair curlier. 4.) Last week, I broke down and upgraded to a new cell phone. I’ve been needing one for a long time, having to charge my old one two or three times during the day, but I’d dreaded learning a new one. Thankfully, that hasn’t been too much of an issue. The most bothersome thing I’ve dealt with is that none of the ringtones that I had set on my old phone for my favorite folks are available on the new one. But I’m sure “there’s an app for that”. Speaking of Motor Mum, we’ll be celebrating her 89th birthday this weekend. I’ll most likely have photos to share next week. This entry was posted in Days at Home, Family, Traveling Days and tagged back to school, rainbow bridge remembrance day, random five friday. Bookmark the permalink. Quite a random five this week……I remember that sweet photo of you putting Marshall on the bus – has to be tough on that first day! Love the photo of JR and his Mom. That shooting was absolutely horrible and since you were so close to where it happened and have a wind chime from there, you’re bound to give it a thought when you hear it in the breeze – somehow that’s not such a bad thing though…..remembering is a GOOD thing. Beezy knows what I mean………….! I like that you we truly random Dianna (I call it ricochet thinking and even worse, I have ricochet conversations ). Your kitty was beautiful, I see your face when you speak of her and I know her loss is felt keenly to this day. How sweet is the Marshall’s first day, and love Motor Man’s quip- oil of engine! Have a beautiful weekend!! I know it will be quieter. Rather than thinking of the tragedy of those young lives being lost when you hear those chimes ring out, think of how their souls are now truly free to sing. Happy Birthday to Motor Mum! I love it–she looks like quite a lady and I hope you have a fabulous celebration. I love your Random Five Friday. I learn so much about you! ….Oil of Engine – I LOVE it! Wish that I could think that quickly. I agree with Donna about ricochet conversations – keeps my husband guessing. Love the randomness. Beezy was a favorite of mine. Such a beautiful kitty. Motor Man is something else, especially when he is trying to get the best of his mom! Love your random five. As you remember your special Beezy, I remember our sweet Callie. One of a kind kitties, weren’t they? Happy Birthday to Motor Mum! I think the chimes will be a good testament to the two who were lost. I’ve always said they sound like distant church bells..
& here’s to Beezy … one of a kind for sure …. It’s funny – of all the things I could remember about that first day, it’s the school bag that comes to mind right away … had to make sure I was prepared! Oil of Engine ….. perfect ! Beezy is gorgeous and Motor Mommy is hilarious! Your blog was just perfect this morning……made me smile! 1)The shooting was a true tragedy. My prayers are with the family and communities. It’s all so sad. I suspect you’re right about the wind-chimes reminding you of the lives lost. I would feel the same. 2)Beezy was a beauty in life and I know she’s a gorgeous angel watching over you and enjoying the antics of Sundae & Gypsy. 3)That’s a sweet photo of you and Marshall. The first day of school is always a bittersweet day for me too. 5)ROFL That MM is a clever guy. I know his Mom loves the joke. Sending out wishes for Motor Mum a glorious 89th birthday. I love this R5F! 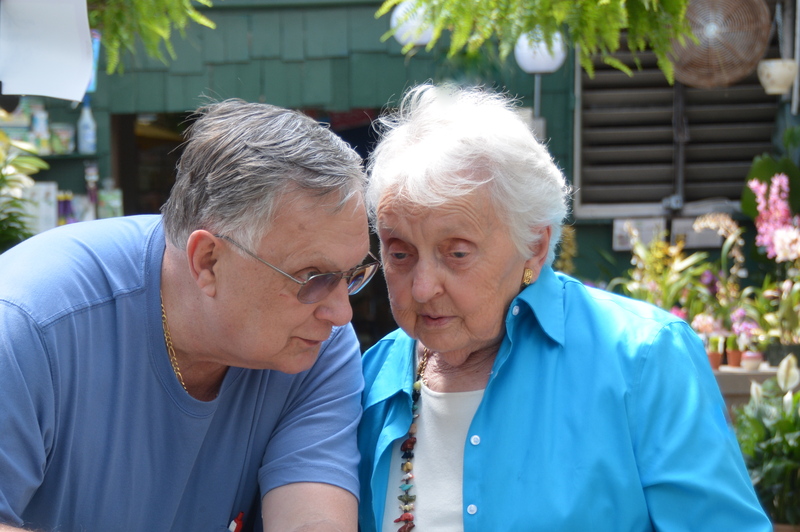 I know Motor Mom’s 89th Birthday will be wonderful. What a blessing for you all. Happy birthday to Motor Mum! I’ve been wondering how she is since I haven’t seen a Sunday visit with her lately. Good ones. All of them. Happy Birthday to MM’s mama! Another sweet set of Randoms. Happy Birthday to MotorMum.